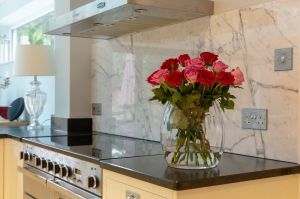 We supplied and fitted all of the stone work for this lovely home in Surrey. 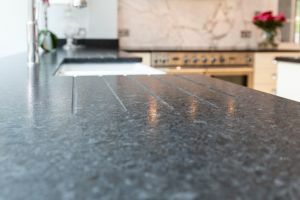 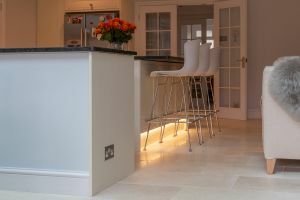 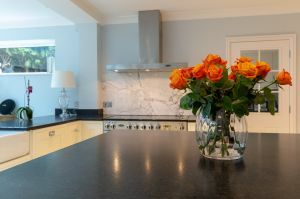 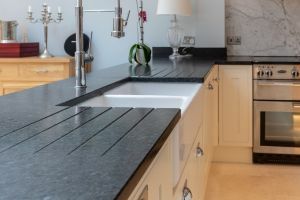 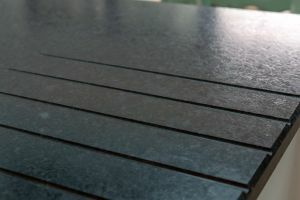 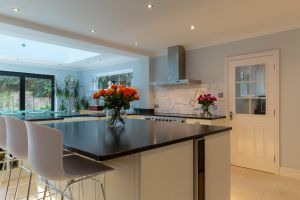 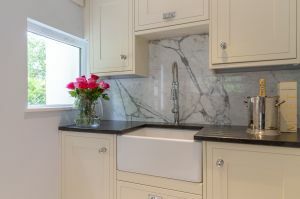 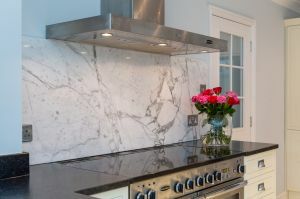 The worktops are Anhara Black Granite in a leathered finish with Arabescato Marble backsplashes. 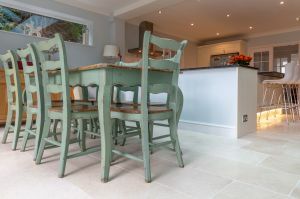 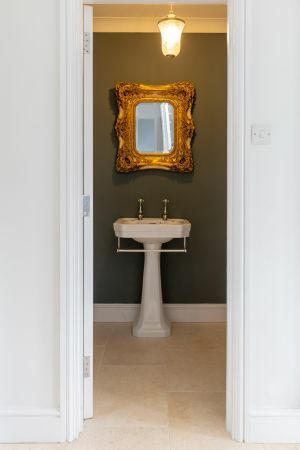 The stone tiles are Crema Venato Tumbled Limestone.